Two more performance nights have been added to the drama The Lockerbie Bomber, following popular demand. The play casts doubt on whether the man convicted for the Lockerbie bombing was really responsible for planting the bomb on an aircraft in Malta in 1988, before causing the UK’s worst terrorist attack. Written by Kenneth Ross, the play will be staged again on November 15 and 16 at St James Cavalier, as well as this weekend. Dr Jim Swire, whose 24-year-old daughter was killed in the bombing, last weekend held a question and answer session with audiences after the production. The play is staged by DnA Theatre Productions, directed by Herman Grech and features Mikhail Basmadjian, Julia Calvert, Manuel Cauchi, Alan Montanaro, Denise Mulholland and Alan Paris. For bookings call 2122 3216 or 2122 3200; e-mail boxoffice@sjcav.org or visit www.sjcav.org. Tickets are €15. 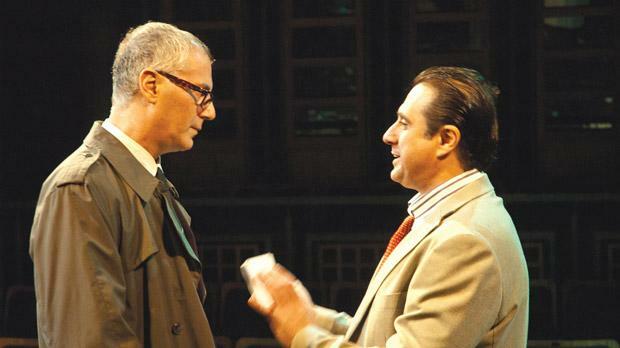 The play is supported by Times of Malta and The Strickland Foundation.